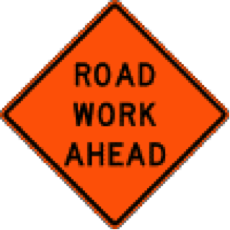 Caution: Road Work Ahead – Be Careful Driving in Michigan Construction Zones. Buchanan & Buchanan. Hazards and casualties in construction areas should scare anyone driving in Michigan to be more careful, to protect themselves and passengers. Be informed of the dangers. If an injury occurs, seek help from an experienced attorney who understands construction zone accidents and can investigate immediately. Construction zones change constantly, so it is critical to photograph and video the accident scene and construction hazards soon after the accident. At Buchanan & Buchanan, we promptly investigate these claims, and take action to secure fair reimbursement for the injured. There are standards, rules, and regulations for roadway construction to reduce dangers to drivers and pedestrians. Department of Transportation standards, for instance, regulate roadway markings, flow of traffic, drop-offs, and sight lines – – all hazards that construction zones create. Profits-focused contractors often skimp on safety to finish a job on time or ahead of schedule. When negligent conduct causes injury, the contractor should be accountable for harms and losses to people injured. Do not sign a release for or provide a statement (written or recorded) to an insurance adjuster before hiring an attorney. What you say will be used against you. If you or anyone you know was seriously injured in a road construction area accident, contact the Buchanan & Buchanan law firm. The accident experts at the firm understand what you are going through and will start a full investigation of the accident, determine the cause, and identify those who are responsible to reimburse you for the harms and losses. At Buchanan and Buchanan, we are skilled at investigating motor vehicle accidents and successfully negotiate fair settlements with insurance companies, and persuasively presenting cases at trial when insurers refuse to do what is right. The firm offers a No Fee Promise: If you don’t win, you don’t pay a professional fee.